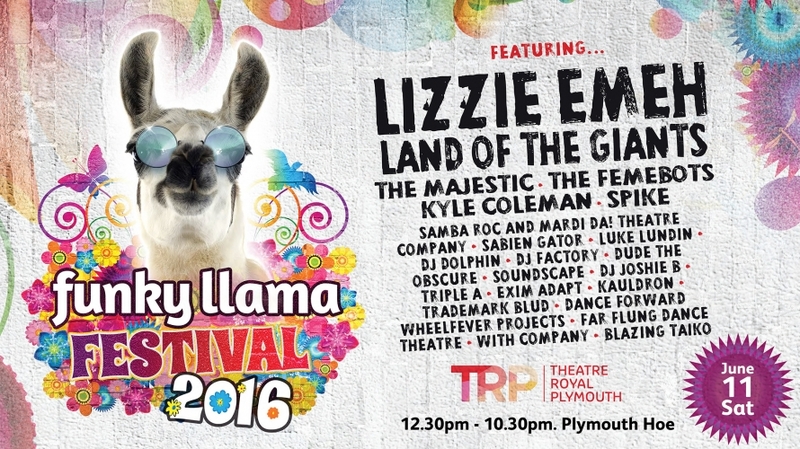 The Funky Llama Festival is almost upon us and it’s set to be the most exciting year yet. Our Funky Llama Steering Group have put together some top picks of things you should see and do at the festival to make sure you don’t miss any of the cool stuff that makes this unique festival so exciting! We recommend Heart ‘n’ Soul’s Lizzie Emeh, local legends Land of the Giants, London-based reggae band The Majestic or our resident MC Spike. See more of the line up here. Here you can see acts like Anjali Dance Company and Far Flung Dance Theatre. Take part in the Theatre Royal Plymouth’s Young Company dance and drama workshops in the Drama Llama tent. Chill out with a massage in the Llama Life tent. Isabella’s Story Bicycle and Clive Pig are ready to entertain between 1-4pm. Take part in a Yoga session overlooking the Plymouth Sound throughout the afternoon. Have your face painted with funky festival flowers. Have a go on our accessible bikes and trikes and build up an appetite for some delicious treats. Create your own windmill to take home or add to the giant windmill garden. Enjoy a delicious variety of food, including burger and chips, falafel wraps and curries or head to the Funky Bar for hot drinks, soft drinks or alcoholic beverages. All that’s left for you to do is pack your sun cream, sunglasses and some cash for your Funky Llama merchandise and refreshments! If you haven’t got tickets yet don’t worry you can buy them on the gate on Saturday or online. We would love to see all of your festival snaps over the day! 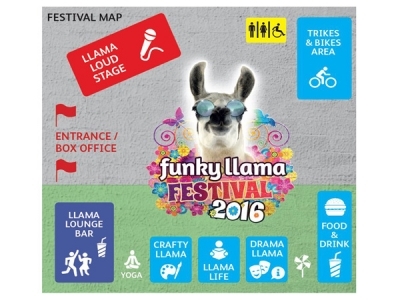 Connect with us via Facebook, Twitter or Instagram to show off your pics with #FunkyLlamaFest16!